That chill is in the breeze; snow is near. This is one lucky little caterpillar. 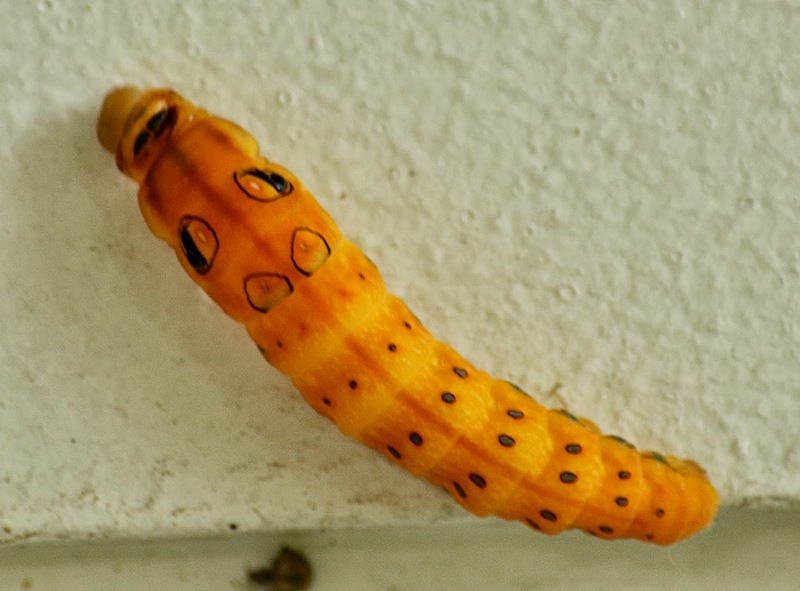 This particular Spicebush Swallowtail (Papilio troilus troilus) caterpillar; which was born and raised in my sassafras tree, formed its chrysalis at the corner of my chimney. It started the process on Tuesday (10/16) and finalized the transformation on Friday (10/18). I have noticed that the length of the process varies with the temperature. Colder nights seem to slow them down quite a bit. This caterpillar chose a spot the spend the winter in a fairly open and noticeable spot. That creates a major problem on my porch. It will not make it long enough to turn into a butterfly this spring. That is guaranteed. I saw 2 other Spicebush Caterpillars crawl up underneath my siding earlier last week. They made a better choice. Why will this one not survive? My Carolina Wrens will not let anything make it to spring on my porch. They will clean up all overwintering critters they may find. they are relentless in their search, too. Very efficient. Don't worry about our little friend, though. I have it taken care of. 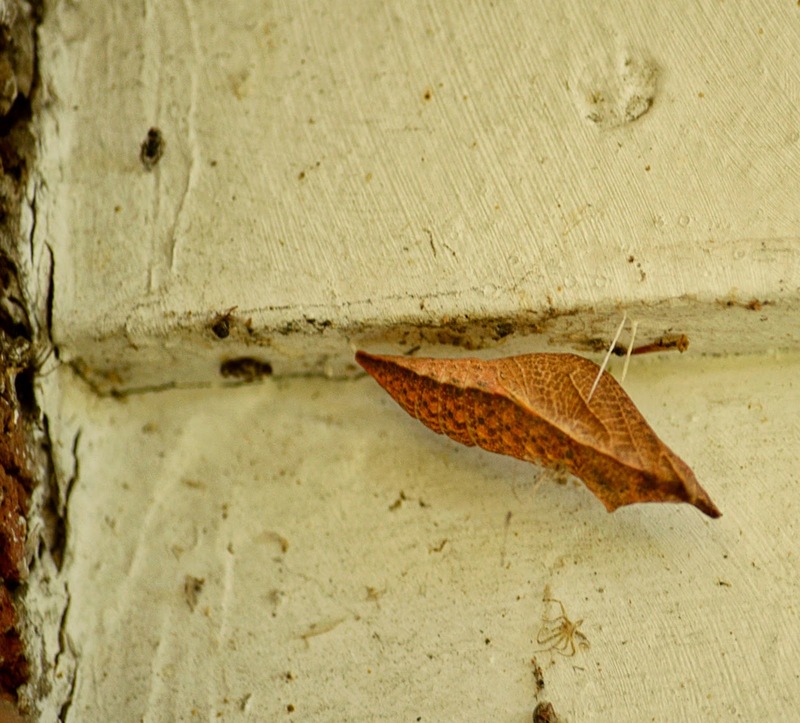 I keep a little wooden box, filled with leaves and chrysalis on the porch. It is completely wren proof. I have had 100% hatching success with this method, too. 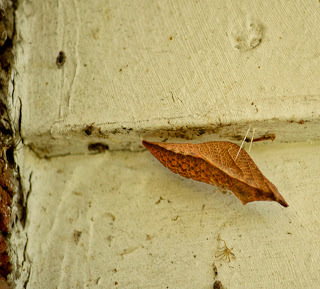 I don't go in search of the chrysalis'. I only collect the obvious ones which are out in the open. Hatch time for the ones I have saved is usually the 2nd week of May. (c)2013 High Virginia Outdoors Photos (c)High Virginia Images All rights Reserved. GRAFTON, W.Va. – Three days of birding and banding activities for novices and avid birders alike are planned at Tygart Lake State Park Friday through Sunday, Oct. 11-13. Leading the activities will be master bird bander Joey Heron and Tygart State Park activities coordinator Stephanie Bailey. “Banding practices in October focus on fall migration and observation of species making their way to South America and elsewhere,” Bailey said. Participants will learn to identify many of the birds in the area by sight and sound. Some birds will be traveling through; others will be here to stay for the winter. The banding will include the migrating Swainson's thrush and magnolia warblers. 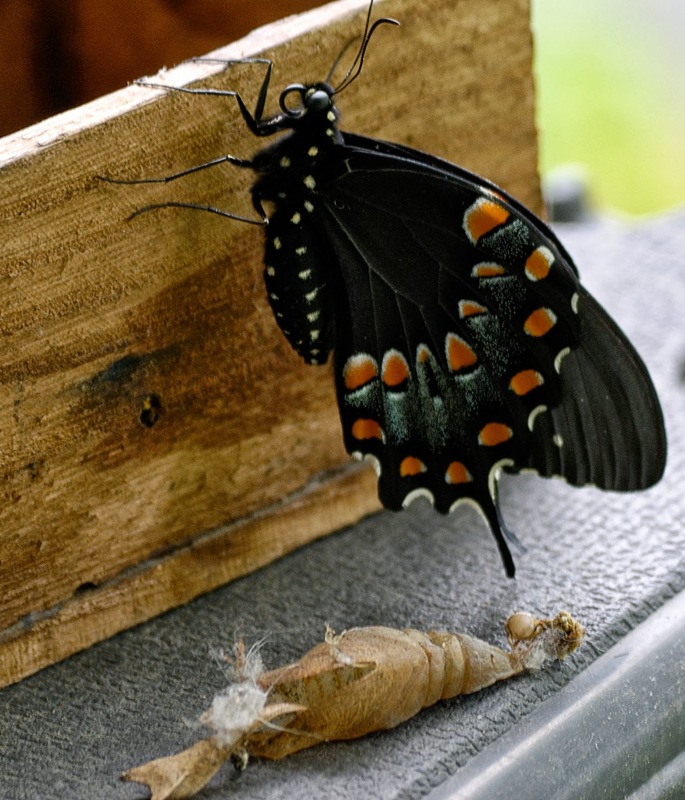 “Each day brings more migratory species through the Tygart Valley area and an opportunity to see birds that may only pass through West Virginia on their way to wintering destinations,” according to Herron. Day-only visitors are welcome to participate and overnight packages also are available. Call Tygart Lake Lodge at 304-265-6144 about lodging and meal specials. To learn about Tygart Lake State Park visit www.tygartlake.com. Herron also conducts saw-whet owl bandings at Valley Falls State Park Nov. 1, 2, 8 and 9. To learn and register to attend these sessions, email wvsawwhet@yahoo.com. A Lewis County native, Herron has more than 41 years of birding experience, by sight and sound. He is retired from a federal government job with more than 23 years of service. Herron graduated from Glenville State College (’80) with a BS in Biology and Art minor. He is a licensed bird bander with the U.S. Geological Service bird banding lab and is affiliated with numerous birding organizations such as Cornell Laboratory of Ornithology, Bird Banders Association of North America, Bird Banding Laboratory (master permit, 1997), West Virginia Partners in Flight (working group member), Brooks Bird Club, and an instructor for Pierpont Community College Lifelong Learners group/classes spring and fall on birding and banding (2008 – present) to mention a few. His many published papers on birding include reports on saw-whet owl banding conducted at Valley Falls State Park in October and November over the past several years. I was asked recently, what my favorite mushroom was. The answer may be surprising to many. I had a pretty bad mushroom year in 2013. Next year may be worse, my morel patch was covered with gravel. 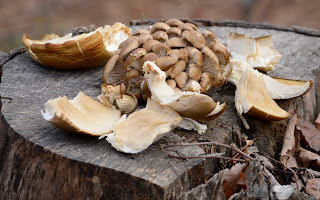 But it seemed as if I found quite a few mushrooms this year but; when I found them they were always past peak for eating. Many species are only available for a very short time. That is why I don't get too excited about morels in this area. Chicken of the woods usually emerge twice during the season but you must get them very quickly after they pop out. They go from great to poor very quickly. 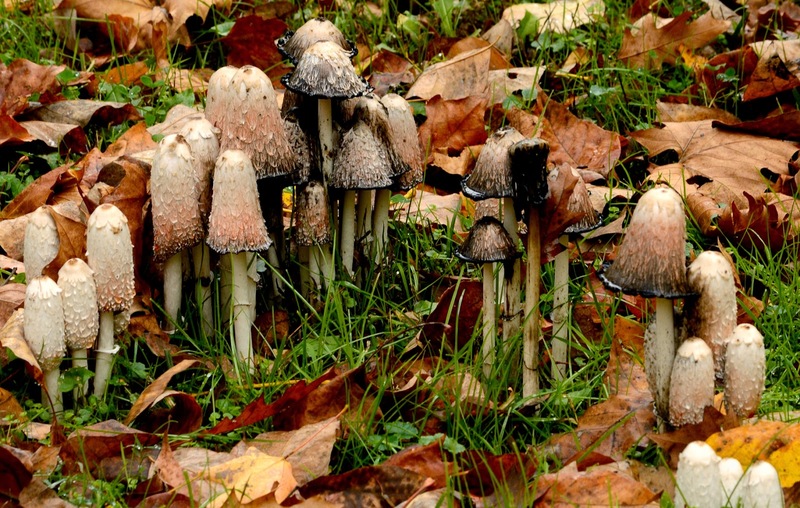 Shaggy Manes, well you just about have to see them pop up to get some good ones. I have yet to trust any boletes that I have found. So I would have to say, without a doubt that Oyster Mushrooms are my favorite for consumption. I like the taste and they can be found with reasonable expectations over a long period of time. I have found them from March-December. They are easily identified and tasty. What more could be asked for? The year of 2013 was my poorest.mushroom year, ever. Many folks had great seasons. When I had time to search, everything I found was well past peak for consumption. I was able to find a few promising locations for next year. 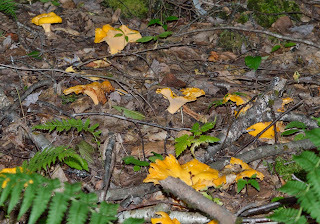 especially for chanterelles. I hate waiting for next year. I made on last futile attempt to find some Giant Puffballs today. No luck, but I did manage to spy my first of the season Shaggy Manes (Coprinus comatus). 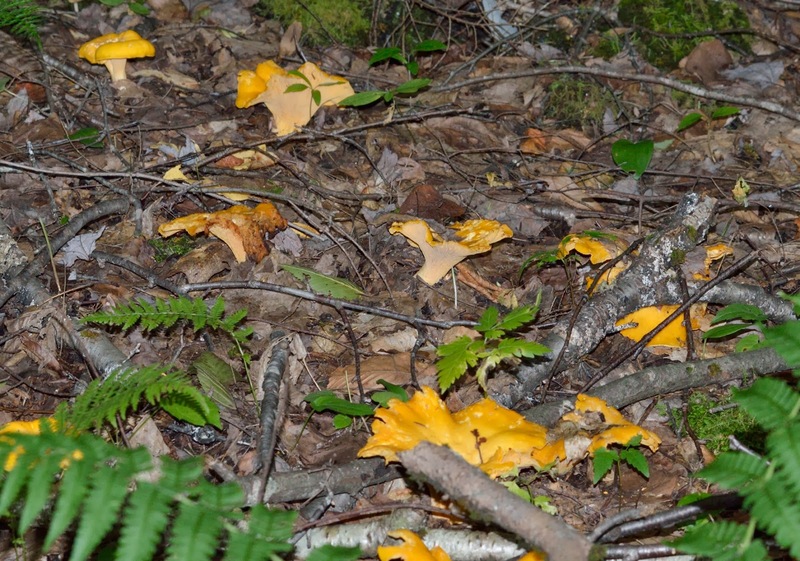 These mushrooms are very good edibles when they are newly emerged. I believe I picked and ate nine out of this small patch. I'm hoping to find several more over the next few weeks. Shaggy Manes and oyster Mushrooms are about all that we can expect to find in any numbers this late in the season. I have seen posted online that a few Chicken of the Woods are still being found. I only had two small pickings of them this year. I have about given up on a Giant Puffball. I thought I had a no fail spot for them. Apparently not. Yes, I know that I have been about as scarce as a Monarch this year. I got a new job this spring and it really cut down on creative time. Then I got hurt. I was just getting ready to intensify my postings; then the construction company knocked down my satellite. It took 2 weeks to get internet service back. It hasn't been a pleasant several months. Maybe I'm back; hoping so anyway.